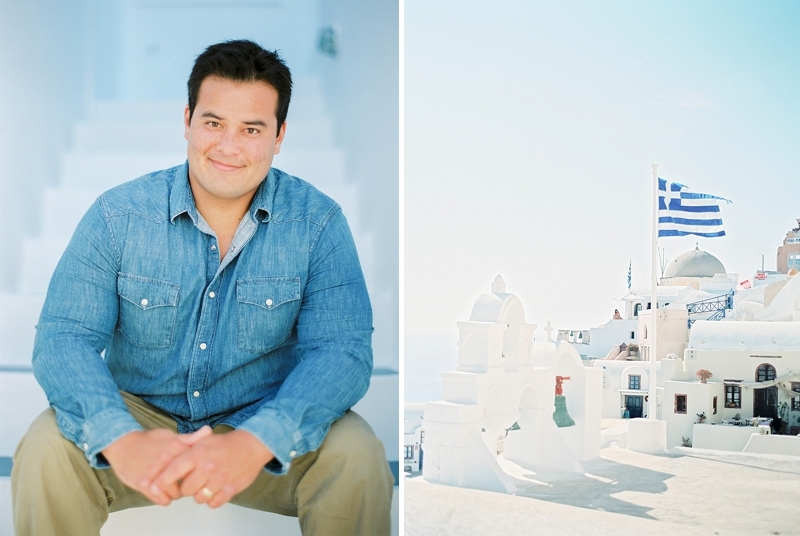 Crisp white architecture and brilliant blue domes set the perfect backdrop for a Santorini honeymoon. 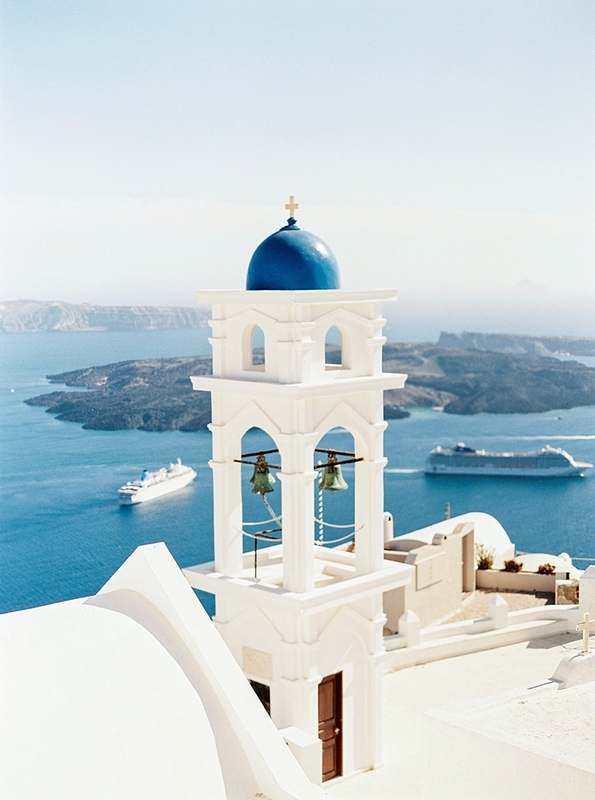 narguably considered the most picturesque Greek Island, the town of Oia's iconic cerulean domes and whitewashed buildings continues to woo couples from all around the globe. With villas dotting the cliffside overlooking the breathtaking caldera (a cauldron-like volcanic depression), the crescent-shaped Santorini is the ultimate dream when it comes to Mediterranean romance. 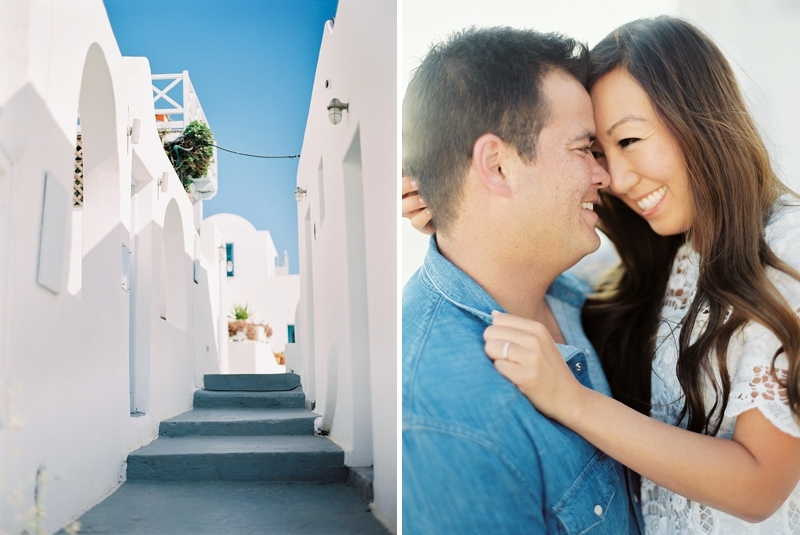 Because of its reputation for sunny relaxation, delicious Greek food, and quiet ambiance, Christine and Jon chose Santorini for their once-in-a-lifetime honeymoon and knew they wanted destination portraits with Pia of Peaches and Mint to remember their first vacation together as newlyweds. 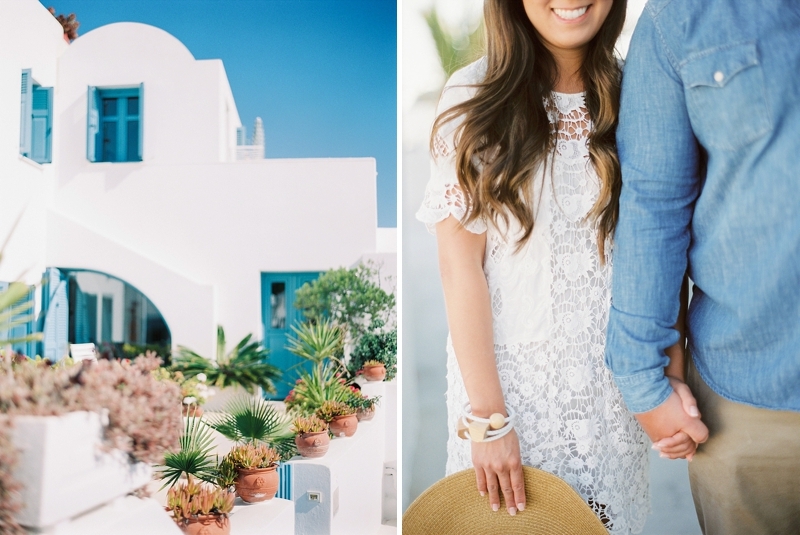 Inspired by Oia's dazzling colors and casual chic resort style, Christine wore a modern white lace dress and wide-brimmed straw hat while Jon complemented her in handsome chambray blue. It was the perfect style for the perfect honeymoon. There's just no better way to celebrate being a new Mr. and Mrs. than walking hand-in-hand around Oia's charming winding streets and enjoying the panoramic views. Some of the above product links are affiliate-linked and purchasing through these links helps support Tidewater and Tulle! You can find our full affiliate disclosure policy here.